Wildlife photography is one of the risky yet fulfilling type of photography. Such a feeling of success if you were able to capture a mother eagle passes the worm to her kids, a hawk with a rodent on its claw, the giraffe stretches its long neck for food, the wolves attacked the deer, or even a snake that crawls to attack its prey. As you want to capture the perfect moment and still, it is sometimes really hard to select which camera to use as you have to consider a lot of factors. On your succeeding reads, you will see reviews of the 8 best cameras for wildlife photography 2019 so it would be easier for you to choose the right one. The cameras that you see in the list are cheap but still can give you quality photos. These are the cameras that can provide you a great performance considering its price, a good thing for someone who is a starter in this field. You will see few lists from Nikon and Canon and their comparisons to have a better look which one to choose when you decide to buy one. Take note, that on your succeeding reads, there are a lot of factors to consider that a camera must have to fit for wildlife photography, like resolution, speed and many more. With its price, it’s a great entry level camera though it doesn’t have some of the features of a high-end cameras and also has a higher resolution than Nikon D5500. It was Nikon’s lightest DSLR when it came out and has a strong autofocus function. If you are into shooting multiple frames per second, this camera is reliable with 5 FPS. Some of the users said that they can’t notice the difference between this camera and D5500, which is more expensive. According to reviews, they are to recommend this camera for someone who is looking for a reliable and simple camera with manual and auto settings because the quality is impeccable and the audio from the videos are crisp. Some of those that bought this product has no complaints at all as they feel like the performance of the camera is exceptional with its price. This camera has 18 megapixel-resolution which is obviously lower compared to the Nikon D3300 though it’s cheaper than the latter. If you are someone who wants to have some features of a professional camera than the usual camera, then this can also be a good entry level camera. During wildlife photography, frames per second is really important as most of the subject move fast and this camera has 3 FPS which is just okay for a starter. If you are looking for the best camera for wildlife videography, this might not be the best fit as it doesn’t have an additional jack to insert a microphone in it and may capture a lot of noise. With the reviews online, some says that this is not the camera to buy if someone wants to go professional as this only provides some improved functions compared to using a camera phone. Some really like the quality of the photos which they said is really crisp and also considering the ISO at 100-6400. The camera is a better version of Canon EOS Rebel T5 which has an improved speed at 5FPS, the same as the Nikon D3300. Some of the features stay the same at 18 megapixels for the resolution and 1080p going full HD for videos. For an amateur, it is easy to use when it comes to its settings and having other functions like autofocus and sports mode. It gives an exceptional autofocus because of its AF system at 9 points, all cross type. Based on the reviews, some buyers are really happy with this camera because of its video capability and learning other various modes. Some are blown away with the vivid colors plus the screen is touchscreen which adds up to its plus. The camera is a successor of Nikon D3300 which has the same resolution at 24.2 megapixels that provides great quality of pictures. ISO is improved up to 25,600 which will give you a better quality of pictures in a low light situation and also has 5 frames per second as a speed. Considering its price, it is considered as one of the starter cameras that you can choose from. Autofocus is still one of the ideal features of this camera as it gives you a great emphasis on the subject with its background. Reviews say that the camera is also light in weight and really easy to use like the Nikon D3300 and also gives them the quality of pictures that they want with its affordable price. Some recommend this camera because of its improved features compared to the previous model without hurting your wallet. The camera is found to be reliable in photos and video mode which might be one the best cameras to consider for wildlife videography. The resolution stays the same at 24.2 megapixels packed in a very light body which gives you an ease in shooting but has an excellent autofocus points at 39 points. In daylight, the photos came out with great quality and crisp which the colors pop up more. It has a full HD at a maximum of 1800p which makes it still reliable for video shooting and has a lot of effects and options to choose from during the live view. According to the buyers and users of this camera, it is the camera that they everything hoped for that makes them love this camera. They feel that the camera feels good in their hand with its lightness and also provides them impeccable quality photos which exceeds their expectations. This mirrorless camera comes with a 3-inch tilting LCD with 24.3 megapixels, 0.1 megapixel better than the other cameras mentioned above which can capture better quality photos. If you are looking for a good quality and you don’t want to look around with a hefty camera and the retro dials or more deliberate functions, this is really a good camera. The higher ISO compared to other DSLRs, it can get better images in a low light and that Sony is billing this as the fastest focusing interchangeable camera among APC sensors, of course without comparing it to the high-end cameras of Nikon and Canon. It is quick that no need for you to take time in focusing on the subject because of the autofocus functionality. Buyers feel that it is comparable to a professional camera because of the features available and is worth the not that expensive price. They love how the perfect the landscapes were taken with the said camera. The camera shows an improvemen t compared to the previous version when it comes to its quality of the resolution being it at 20.2 megapixels. With 19 points autofocus, it provides a better and improved autofocus functionality both for video recording and live view. The sensor is sharp and as expected is giving sharper and better results with the photos. The camera is handling a low light very well with its ISO at a maximum 12800 which again is something to consider when taking photos of your subjects in the wild. Many of the users switched to this camera when it came out because of the features it offers. They just love how sharp and crisp the pictures are and can be a cinematic package when shooting videos. The Nikon D850 becomes an excellent option for wildlife photography because of 3 things: newly improved higher sensor resolution, faster speed, and great versatility. The newly improved sensor resolution for Nikon D850 has now a whopping 45.7 megapixel. Combine the 45.7 megapixel and the 153 focus points (15 for sensors that support f/8 and 99 for cross-type sensors) it will deliver a silent shooting. Not to mention, fast too because it has EXPEED 5 image processor. In terms of versatility, Nikon D850 is jam-packed with different features to make it handy to almost every shooting angle. One of this is the lower ISO 64 (expandable down to ISO 32). Everyone may know that the lower the ISO range, the better it is for the dynamic range. This means that it can capture every single and little detail of your subject and background. Few of other features that help Nikon D850 become fast and reliable in wildlife photography are as follows: can quickly confirm focus, adaptable to the real-time action of the subject, accurate AF system and more. Lastly, it has an impressive battery life as it can shoot 1,080 frames in full resolution or 70 minutes of video per charge. How you capture your subject is important in wildlife photography but how your camera captures the light is one of the things you have to consider, which is the sensor’s job in a camera. The higher the sensor the better, as it has the ability to have a quality picture in low light as many of the wildlife animals are active at night. Otherwise, you will need a lighting equipment to help you during your night session. There are instances that you have zoom in the picture and have it cropped and it would be a disaster if your camera doesn’t have a high resolution in terms of megapixel. The higher the megapixel, the better quality of cropped pictures as it won’t show as pixelated. In wildlife photography, you can capture a lot of images which would be confusing enough what subject you are trying to focus on if you see everything clearly unless you are trying to capture the whole landscape. Autofocus helps you out in putting an emphasis on the subject and must be one of the things to consider when buying a camera. Animals move real quick that sometimes it’s just a blink of an eye and they are nowhere to be found, that is why FPS, Frames per second, is one of the factors you have to consider in purchasing a camera for wildlife photography. The higher the FPS, the faster it is to capture multiple shots. The lighter the camera, the easier for you to bring the camera wherever you go without any hassle. You are exposed to different weather and situation and the durability of your camera would help you in keeping it at its best. Considering all the things mentioned that you need for wildlife photography, the sensor, auto-focus option, its speed, the quality of the photos and of course it’s ISO considering that some wildlife animals are active at night and you need a better camera which works great in low light, Nikon D5500 is a clear winner. 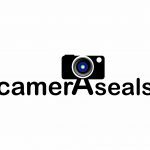 The features and specifics of the camera will work perfect when in low light or day light and is really affordable for someone who is looking for the best cameras for wildlife photography.